Information found in this web site is for general informational purposes only and should not be construed as legal advice or legal opinion on specific facts or circumstances nor as a solicitation of legal business. We welcome the receipt of electronic mail. Please be advised, however, that the act of sending electronic mail to Dow Golub Remels & Beverly, LLP, or a specific attorney, does not alone create an attorney-client relationship. We will neither accept requests for legal advice nor offer specific legal advice over the Internet. You are urged to consult an experienced lawyer concerning your particular factual situation and any specific legal questions you may have. Results obtained depend on the facts of each case. Dow Golub Remels & Beverly, LLP claims a copyright in all proprietary and copyrightable text, graphics, and computer code on this web site, the overall design of this site, and the selection, arrangement, and presentation of all materials on this site, including information in the public domain. You may view, copy, download, or print any materials on this site for noncommercial and informational purposes only. All other uses of the materials on this site are strictly prohibited, including, but not limited to, any modification of the materials on this site. Dow Golub Remels & Beverly, LLP does not collect personally identifying information from visitors to this site unless provided by the visitor or the visitor’s browser. Dow Golub Remels & Beverly, LLP will not use information provided by the visitor or the visitors’ browser nor will Dow Golub Remels & Beverly, LLP use information provided through your use of this site except to respond to direct inquiries or to measure the number of visitors to and usefulness of this site. Dow Golub Remels & Beverly, LLP does not provide or sell any of this information to third parties. We do not currently use “cookies”, files written to the visitor’s computer that are used for record keeping on some sites. The firm reserves the right to change its policy in this regard at any time without advance notice. Should any new policy go into effect, Dow Golub Remels & Beverly, LLP will post it on this site, and the new policy will apply only to information collected after that point. Third-party resources that can be accessed with hypertext links from this Web site are not under the control of Dow Golub Remels & Beverly, LLP. The firm is not responsible for the contents of any of these third-party resources. The third-party hypertext links presented on this site are provided for your convenience only. 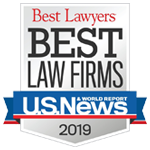 The inclusion of any link on this site does not imply any recommendation, approval, or endorsement of that site by Dow Golub Remels & Beverly, LLP.